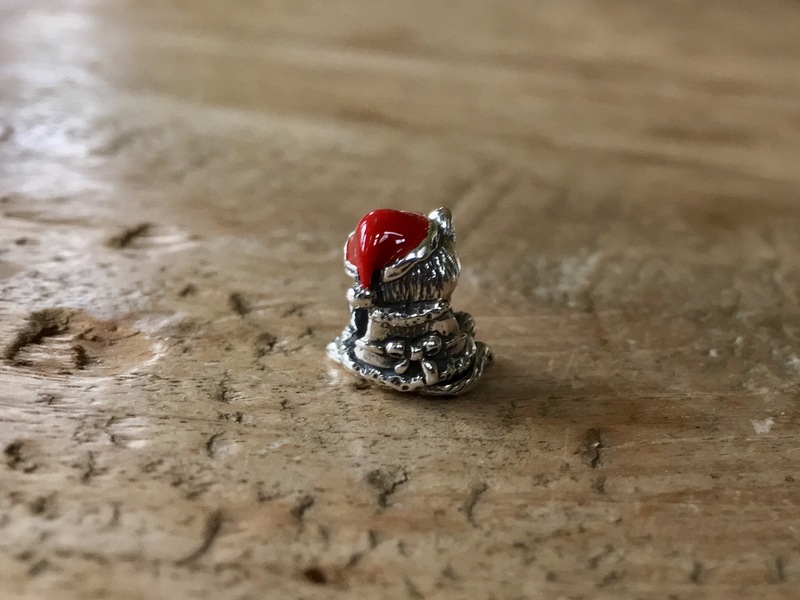 Today is the release of the Ohm Bead of the Month December! Ho! Ho! No. 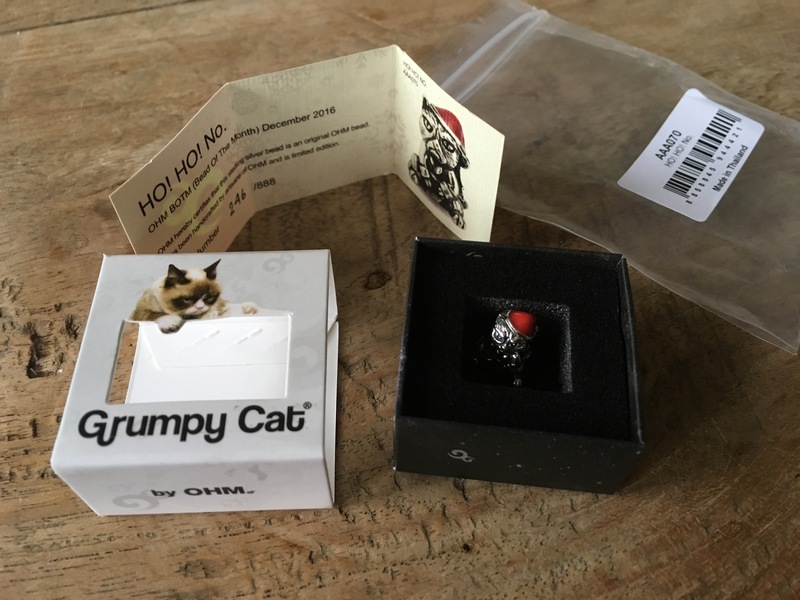 Grumpy Cat with an adorable red Christmas hat. I could pick mine up this morning so on release day I have mine to play with! 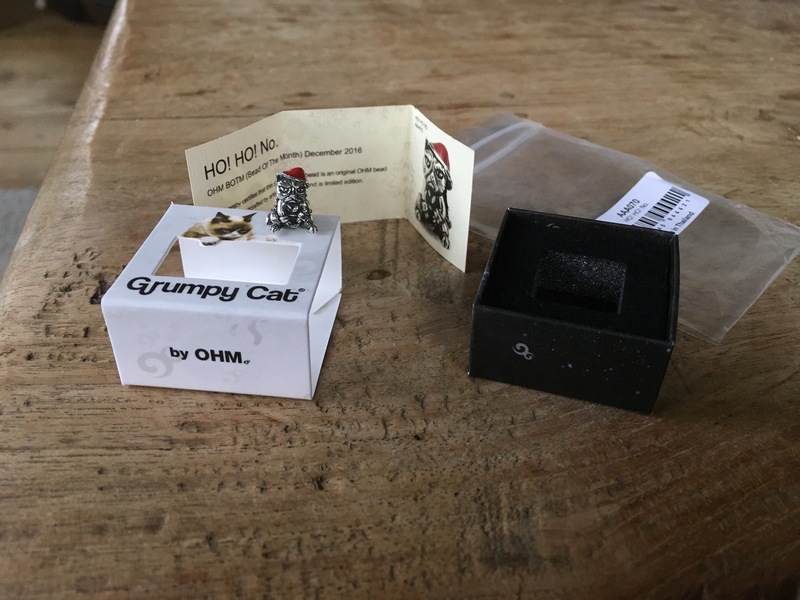 As with all Ohm Bead of the Month the package is just as fun! It’s truly a present every month! The detail is amazing and his red enamel hat so cute! 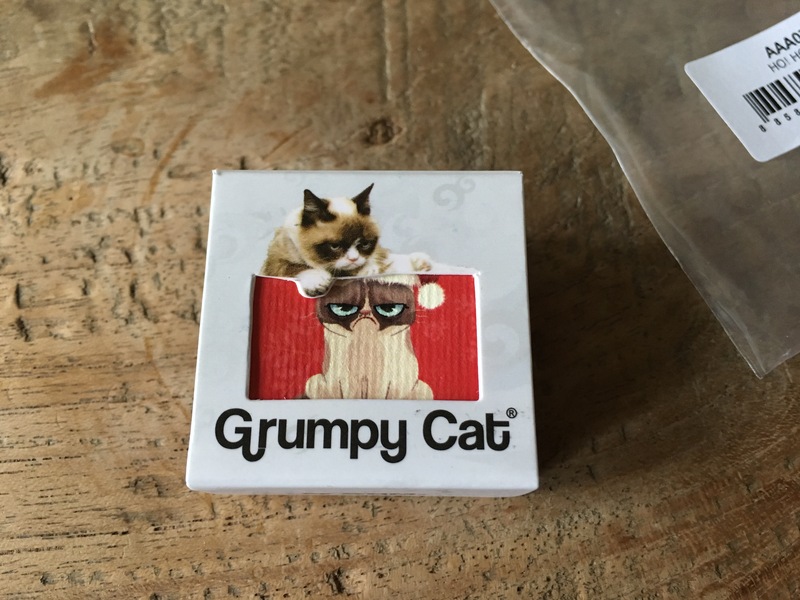 He is wearing a Santa costume and has his signature festive grumpy face. 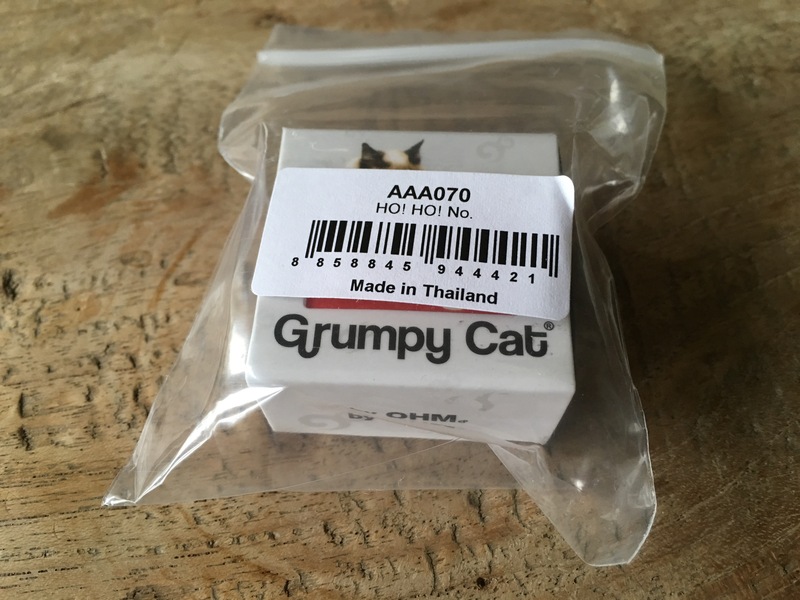 Only 888 where made, this is number 246. Now playtime can begin! 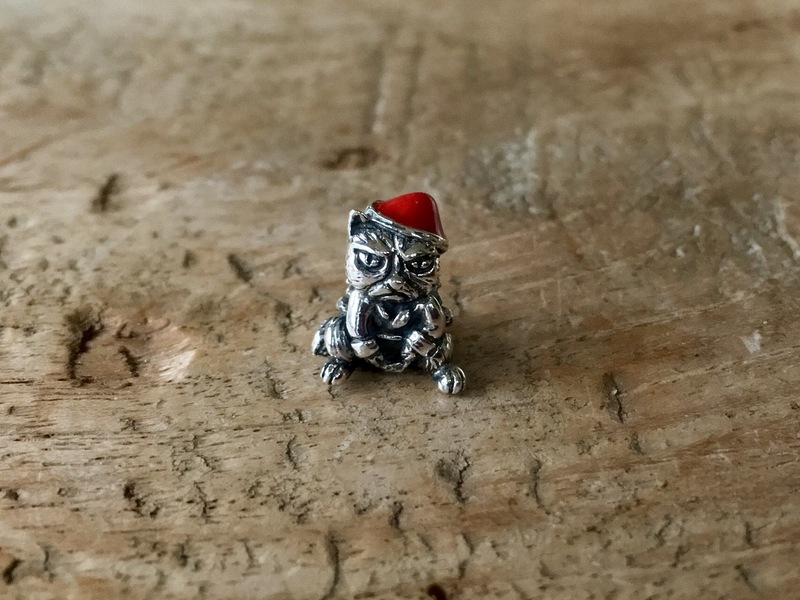 I want him on my Christmas bangle. 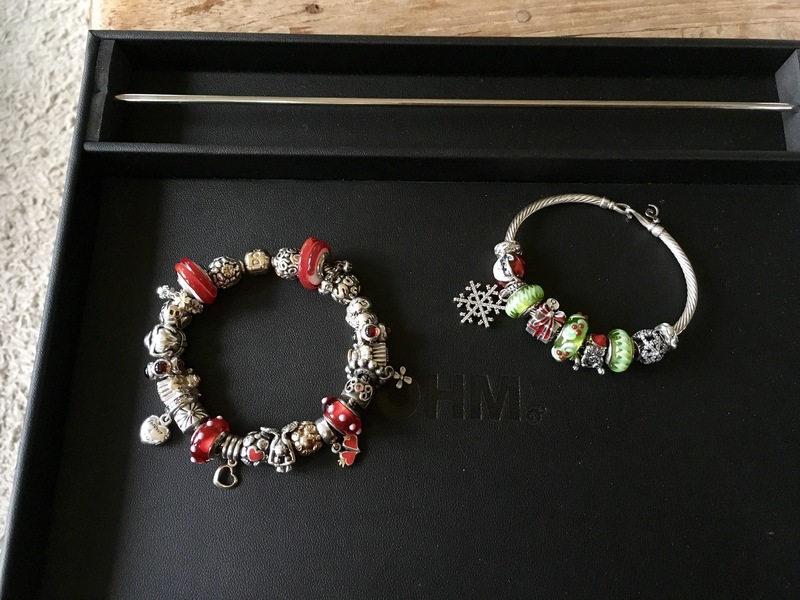 There are Santa, Snowflake dangle, Black Friday Snowflake and Present and two green muranos, all Pandora. 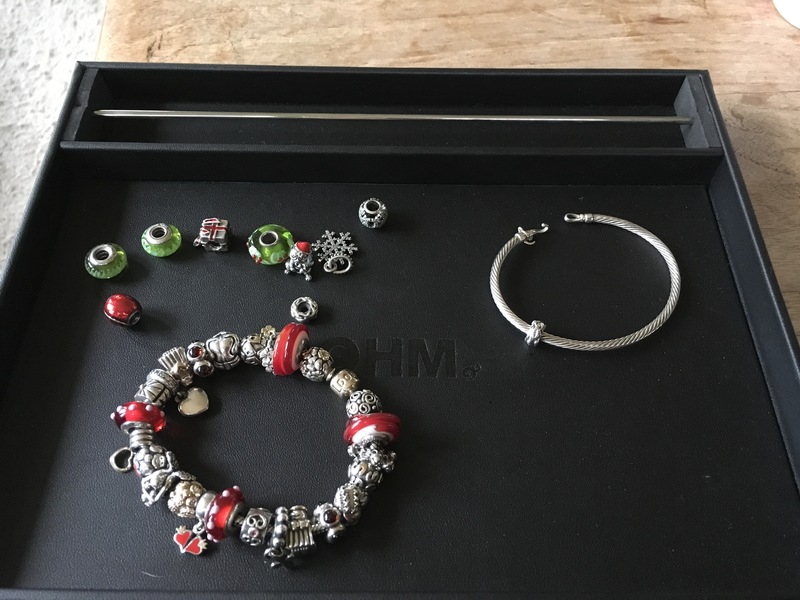 And a stunning OOAK Trollbeads with large core so it fits all bracelets! 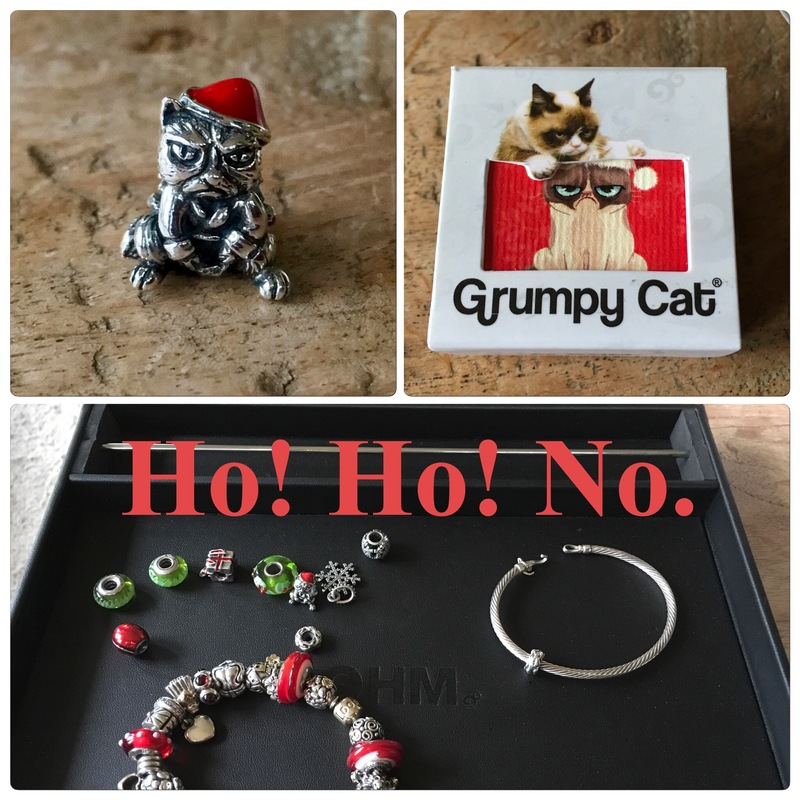 I was afraid Grumpy Cat would spoil my Christmas spirit with his grumpiness, but now I see him in person he is just so hilarious! 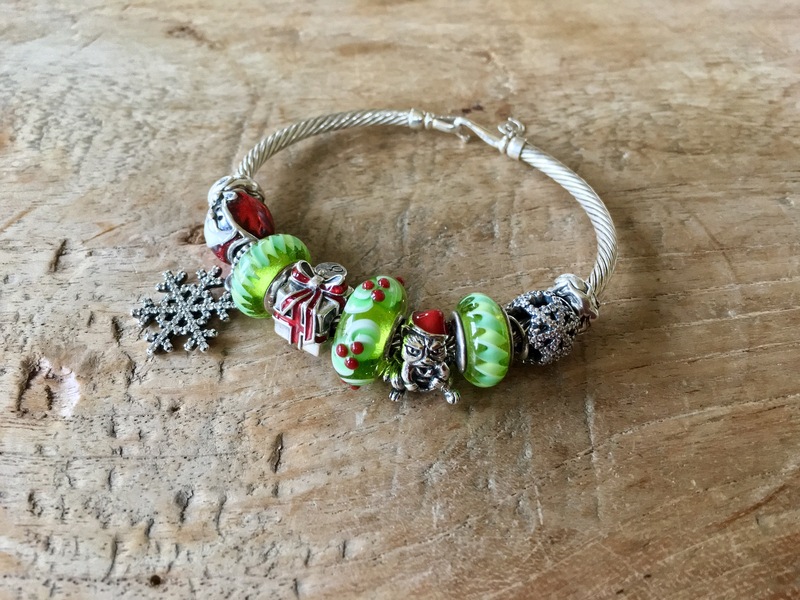 It is a nice turn on traditional Christmas beads and surely puts a smile on your face! Thank you for sharing HoHoNo with us. I can’t wait to get mine. Hopefully the mail won’t take too long. He is so adorable, you will love him!